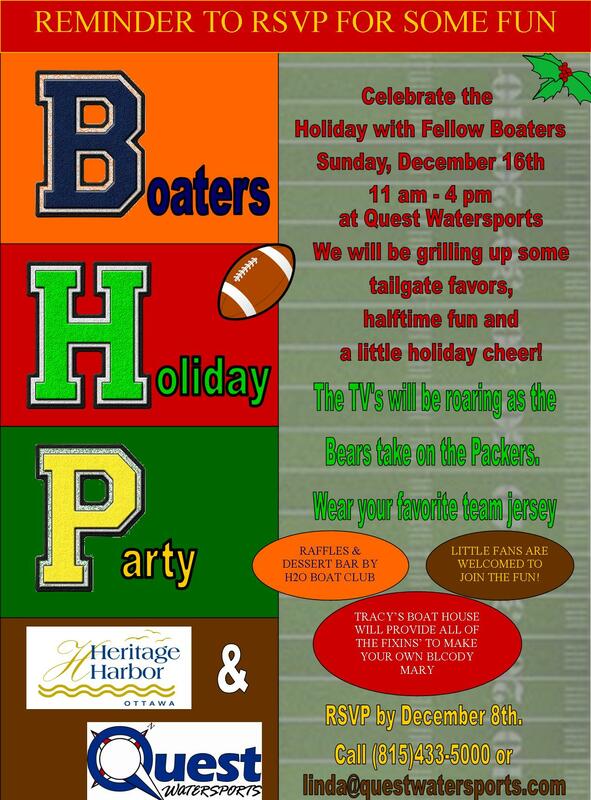 Quest Watersports : Join us Dec. 16...Bears v. Packers Holiday Tailgate Party! Join us Dec. 16...Bears v. Packers Holiday Tailgate Party! Snacks, food, water/pop, dessert, ice/coolers & mixers will be provided. Feel free to bring your own "adult beverages" of choice.